The names speak for themselves: Irving Penn, Ernst Haas, Patrick Demarchelier, Cindy Sherman, Barbara Bordnick, Jay Maisel. We could go on, but we think you get the picture. For over four decades, these legends, along with juggernauts like HBO and Sports Illustrated, have entrusted their work to printer Ken Lieberman. The print master takes the photographers’ visions and translates them into physical reality, printing for exhibitions, museums, corporations, personal collections and more. The man Irving Penn called “a good friend of photography and a good friend of photographers” oversees each step of the printing process, personally checking every print before it goes out the door. His office is full of prints and notes, testimonials from past clients thanking Ken for his service and dedication. Lieberman sat down with Resource to talk about his time in the biz, the collaborative process and why sunlight is a printer’s worst enemy. So how did you get started with photography and making prints? Lieberman: Well, it’s strange. When I got out of the army in 1953 I had a very wealthy uncle who ran a printing company, Litho Printing, and he said to me, “You come to me when you get out, and we’ll give you a job in my printing company.” I went to see him when I got out, and he pulls out a telephone classified book and points to all the different printing companies, and says, “These ones are good.” So that left me (in a lurch); I had been dreaming of working in the graphic arts. Then somebody heard about me and asked me to come and talk to them about a job, and it was a photographic lab, at the time, which is still out of business. Now I’m not a technician, and I wasn’t hired as a technician. I was hired to sell and market the products. So that’s how I got into the business. And I still enjoy it. 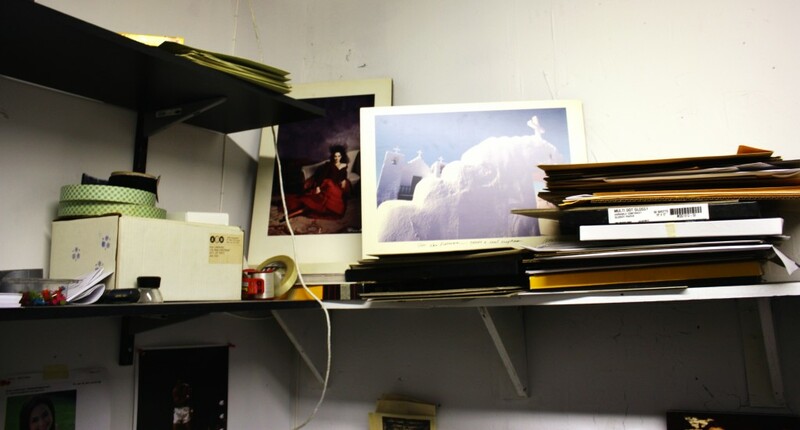 Sitting in Lieberman’s office, one is treated to a tour of forty years in the biz, with snapshots, prints and handwritten notes covering the walls and scattered across the desk. 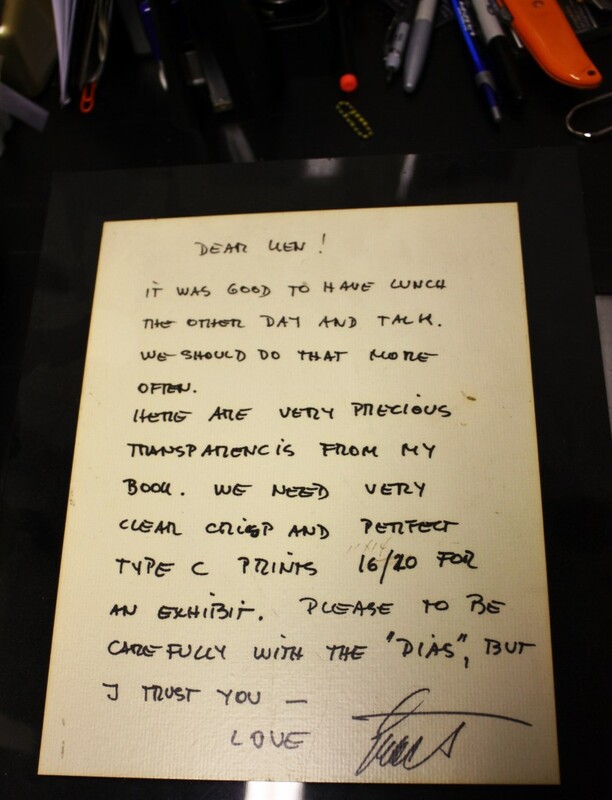 One, from a retired client, reads, “For Ken, whose lab has changed my life, Guy Gillette, 1957. So would you say that working with photographers is the thing you enjoy most about your job? Lieberman: Absolutely. That is the joy. Sometimes I get a tough cookie who is very difficult to print for, but intelligent people and good photographers know the caliber of the work that we do. Gail Cohen, Lieberman’s business partner: I think working with photographers that are tough is a challenge, a plus in all the years. It becomes a challenge to see if we can satisfy them. Lieberman: I don’t know if I’ve ever thrown anybody out of my office, but a couple times we’ve come close, a couple of doozies. Cohen: But in terms of satisfying them it was always a challenge. Does the print tend to be dictated by the client and his or her specifications, or is it more of a collaborative process between you and the photographer? Lieberman: It depends. Some say, “Here’s the image,” or with digital today they can actually send the image to me on the computer. It’s still not the same as a print on paper; it’s viewing it on a screen. But it gives me a pretty good idea. If they want to be fussy about it, I have them send me a guide print, which they can make on their own. It’s working with the people and interpreting their desires. I don’t know how much longer this is all going to last, but I’m having fun, and so is Gail. Gail and Ken have worked together for nearly forty years. Together, they’ve seen it all. Lieberman: She makes my life easier. If I want to take off for a day or two, she can run the business, and there are many, many people who say to me, “I want to talk to Gail.” Like (noted sports photographer) Neil Leifer, I sometimes fight with him on the telephone. I say, “Neil, I can’t do what you’re asking for! Talk to Gail.” And Gail gets it done. What would you say makes for the best working relationship with a photographer? What do you want them to bring to the table? Lieberman: I can only do what he wants me to do, or at least try, and most of the time we’re fine. Just had a job the other day where a guy sent me four negatives to make prints, color negatives, which is almost passé now. And he said, “Use your own judgment.” I used my own judgment, made four prints and sent it to him, and there were two that he said “weren’t what he was looking for.” Now how do I know what he is looking for unless he can tell me, or show me a little guide print? But it’s service, in this business, and being accessible to customers, photographers, when they come into the lab. I check every print that goes out of here. Especially when they’re important, big jobs. And when I’m not here, Gail can approve them. Lieberman’s projects range from gallery shows and museum exhibitions to corporate collection pieces and restaurant murals. 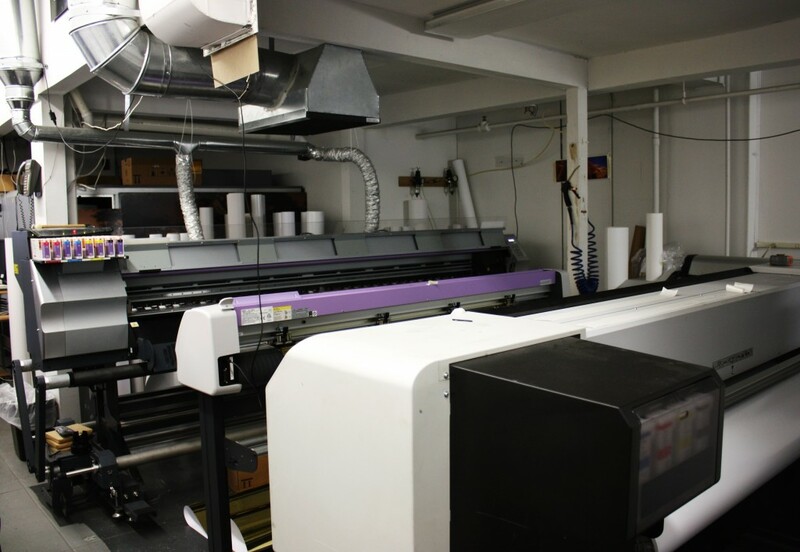 In recent years, he has also expanded into mounting, making his lab a one-stop-shop for printing, framing and mounting. More and more photographers in this day and age are going digital, and printing companies have even begun giving huge, digital printing machines to prominent photographers, enabling them to print from home and giving the manufacturers the opportunity to associate their brand with an established name in the business. How has your work changed with the advent of digital? Lieberman: Well, it’s taken a lot of business. Digitally, we’re affected by so many machines being made and photographers starting to print their own. I’m sure you have a computer and a printer, and when you take a picture, you print in out on a decent piece of paper and there you go. And you can get something in that size in the couple hundred dollar range. So a lot has changed. The volume of business I do is not what it used to be. And on the customer service end, we interact with a lot more people digitally. Someone can send us an image, it shows up on our computer, and we never even have to see the person. But it’s still an exciting business. The digital print, quality wise, is terrific. Many photographers still say there’s nothing like film. The old-timers, the Ernst Haases and the Avedons, there was no digital—they shot with film—and you were able to manipulate an image in print-making. Whereas digital, it loses a little something. But you have to be a pretty good expert to say well, that was done digitally, and that was done with an enlarger in film. There’s still something about a black and white negative, which you can print on fiber-based paper. That’s what the galleries want. 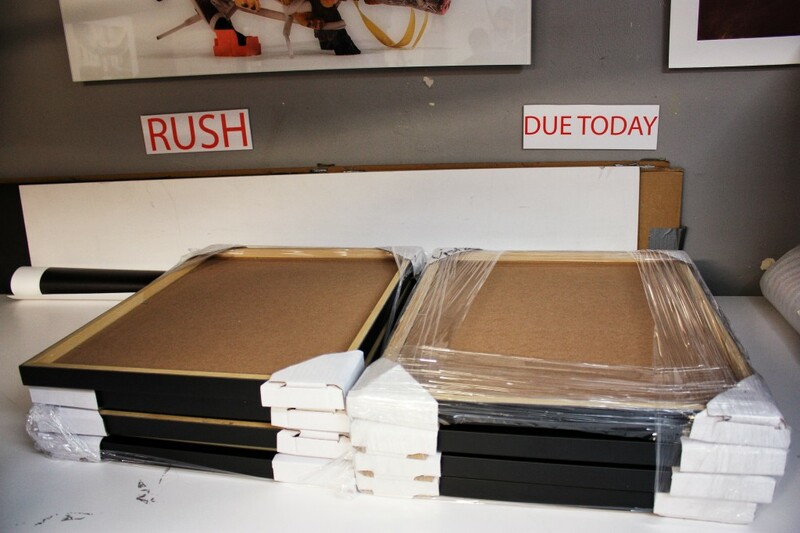 They don’t want digital, because they have difficulty selling a digital print in a gallery. 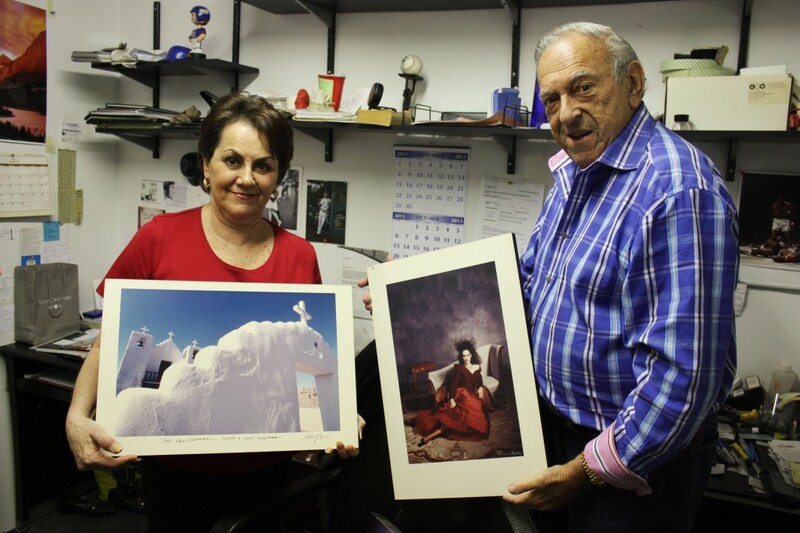 Lieberman made a name for himself in the photography world because of his commitment to quality. He is able to guarantee his prints for up to sixty years, as long as they are printed on Fujicolor Crystal Archive paper. Libeberman: And as long as the photograph is not in direct sunlight! That’s where you get into trouble. It affects the color of the paper. But yes, everything is pretty archival that we can print today. I don’t remember the last time anybody said, “My print is fading.” But in that case, I ask, “Well, how is it hung?” And inevitably they say something along the lines of: “Well we live in Florida, and it’s on a wall in direct sunlight.” Well, I’m terribly sorry, I can’t help with that. Go take the picture again. With this kind of longevity, every piece Lieberman works on has the potential to become a piece of art history, a future artifact for generations of photographers and art lovers to look back on. 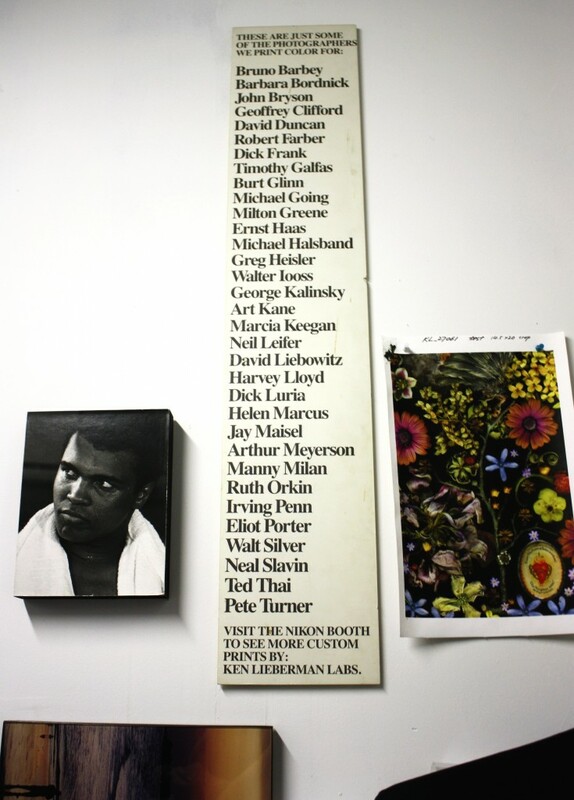 On the wall of Lieberman’s office, a list of just some of the great photographers whose work he has printed. Lieberman counts many of the greats among his friends and can wax poetic about them all, recalling a kind word or an amusing anecdote. On Ernst Haas: He shot slides, but I remember him telling me that a slide is just a means to an end. 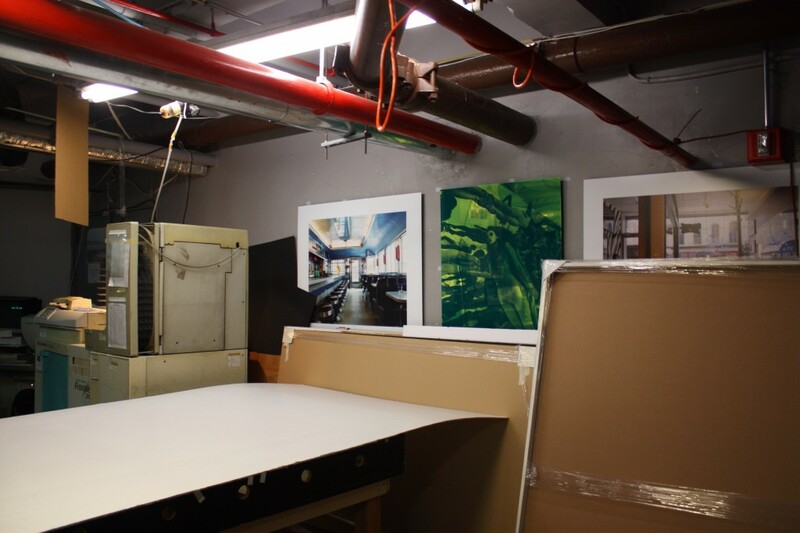 The only way you can establish whether or not it’s a fine piece of art is with a print. There’s a story with everybody up there. Barbara Bordnick, a great photographer. All kinds of beautiful pictures. 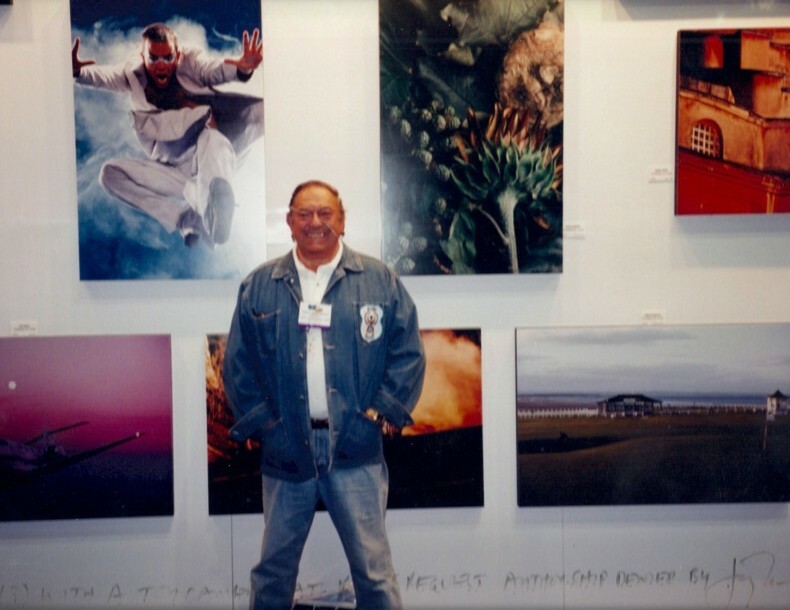 Art Kane was a great photographer, but he committed suicide. I guess you can’t win them all. And Ruth Orkin, who did several books on “A View From My Window.” She started going blind, but she had a Fifth Avenue apartment with a view on Central Park. And she took some beautiful, beautiful pictures. Because she had nothing more to do; she knew what was there, and she could see a change in the colors. I printed those all for her. I guess I could write a book on all the people I’ve known and worked with. In fact, Lieberman is in talks with writer/curator Gail Buckland to pen a book about his life in the photography industry. 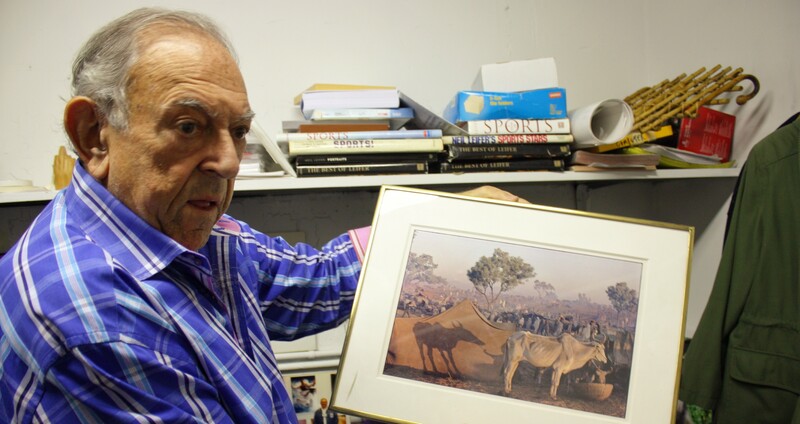 Each of the photos and prints in Lieberman’s office is like an old friend, rich in history and fond memories. 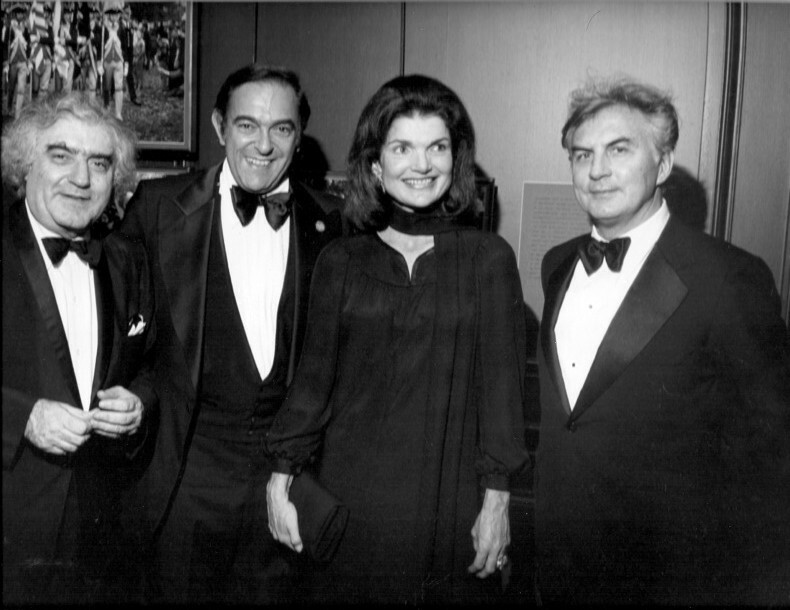 One of his favorites is a black and white snapshot, depicting himself with Cornell Capa, Jackie Kennedy Onassis and Ernst Haas at the opening of Hass’ exhibition at ICP. Lieberman: Here’s a great one. Ernst Haas was hanging a show, and Jackie Kennedy saw the door open and walked in. The place was empty, but Ernst was there hanging things and he showed her around. She ended up liking it so much she sponsored an opening gala for the show. That’s where this shot was taken. I love this.